Exodus House, IYS’ short-term shelter, is the only voluntary homeless/runaway shelter program in Klamath County, Oregon. Exodus House, operating 24-hours a day, provides shelter, food and other services for an average of 60-80 runaway and homeless youth per year. Youth are given physical and psychological safety, structure and supportive relationships with highly trained and experienced staff. Exodus House also offers youth a safe and structured environment to sleep, eat, socialize, recreate, study, and plan for the future with positive adult role models and peers. 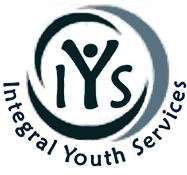 All services are provided regardless of the youth’s gender, culture, ethnicity, income, religious beliefs, social or sexual preferences. Services and housing at the shelter are free of charge. Independent Living Programs designed to provide life skills as youth transition from temporary care into a long-term, stable living environment. Youth Employment which gives youth employment training and summer jobs. Liaisons in our H.E.L.P program help youth stay in school with enrollment assistance, school supplies, transportation, fees, and other resources.